As far as security goes, burglars always pick the easiest job first. They pick the house that has nobody home, not very well lit, and has plenty of hiding places like big bushes and trees. A licensed electrician from Sylvia Electrical Contracting will provide you with the peace of mind that comes with complete residential and commercial surveillance solutions. We have an extensive selection of high quality camera equipment and offer state-of-the-art video surveillance systems for just about any security need you may have. We purchase all our equipment straight from the manufacturer to avoid overhead and pass the savings on to you. Those are just some of the reasons businesses and residences in the area choose Sylvia Electrical Contracting for their surveillance needs. Any security systems are only as strong as their weakest link, and if you set up equipment that's too complicated for household members to use, they are likely to ignore the equipment or work around it. Remember that the people in your home are part of any security arrangements you make, so you have to be realistic about how much hassle they are willing to accept in the name of security. Leaving a car in the garage or driveway can also be a deterrent. If you are going on a trip and not leaving a car at home, you might want to make arrangements with the next door neighbor to park one of their cars in your driveway while you are away. 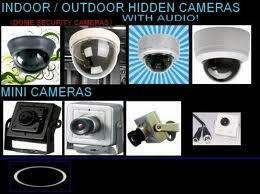 Let Boston electrician install security for you. Alarm systems offer little in the way of physical obstacles to thieves. Instead they offer an important psychological one. Boston Electrician installs security. Our commitment is to provide our clients with uncompromised security solutions. A qualified licensed electrician from Sylvia Electrical Contracting will offer professional, affordable and honest service. Call us today to find out how we can make you safe.